All kinds of bars in DC are offering drink specials for NCAA games. Enjoy the intense, real-life action of the game here where they will show all the games on their nine televisions, including one 60-inch plasma, two 40-inch flat screens LCDs and six 30-inch flat screen LCDs. Drink specials run from 4 - 7 p.m. and feature: $2.50 - $3.00 beer and rail, Smirnoff mixed drinks for $3.50 and Smirnoff specialty martinis for $5.50. On Tuesdays, you can rack in a whole barn of wings for their popular 10-cent wing nights. Located on the Red Line in Bethesda, the Barking Dog is a great place to catch the games with their awesome deals: $2 beer specials every day; Friday - 1/2 off your whole check in the stairs bar from 5-7 p.m.; Saturday - $20 open bar from 6-8 p.m. in the upstairs bar. Cheer on your fav team with drink specials to last you each day of the tournament. At least you know you can drown out your upsets if your team loses. Bottoms up! Games will broadcast on 50 upgraded TVs, with packages showing all 64 battles of the competiton. Hands down, wings are the main dish of any sports events. So of course a wing university would only be the right choice to catch each round of games all month long while keeping that tummy satisfied. You’ll feel like your watching the game from a booth right in the arena. Prepare for an exciting hoop experience when you head over to ESPN Zone to watch every game of the NCAA Tournament on one of their 150 TVs. Join the mvp club to delight in the perks of a true baller with priority seating. Feeling lucky? 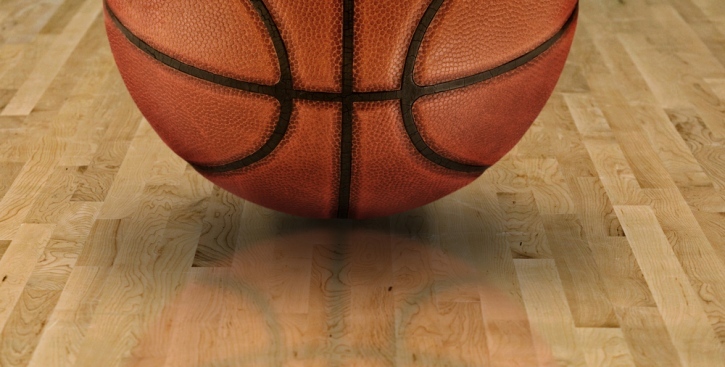 Bball fans can strike it rich here with $4 drink specials on Heineken, Miller, and Amstel Light on game days. Basketball not your game? Create your own game-time excitement with a round of billard or bowling that’s sure to spark up some fierce competition. A popular gay hangout, Nellie's has plenty of TVs to catch the games. Monday through Friday from 5 to 8 p.m. you can enjoy beat the clock specials with beer staring at $1. Located in the Verizon Center, this hot spot offers 33 TVs, including 24 42-inch flat screens for your game-viewing pleasure. A little shy about your cheering skills? The Turtle has nine TV booths where you can watch the tournament in the comfort of privacy. But don’t think those cheering skills are any better (it’s kind of like singing in the shower). All the games will be aired during the tournament, and so will specials. Experience the victory of winning…well almost. Your team may lose, but when you sport your team’s colors at this bar and restaurant during March Madness, you win! Wear your favorite team’s colors and receive game day specials that include $9 domestic pitchers and $12 import pitchers until 9 p.m. What a slam dunk offer! There are also giveaways each game day. Give your team a little luck of the Irish when you at Ireland’s Four Courts, when you can catch all the game action from beginning to end. You may even catch old St. Patrick himself glued to a TV on opening round night (March 17). And your lungs don’t have to suffer while you watch the action. There is a non-smoking party room complete with a fireplace, bar and catering space for your entire basketball posse to enjoy. Everyone is broadcasting complete NCAA Tournament coverage, but Union Pub is where you can really get it…literally. With three 58-inch plasma TVs, a 78-inch large screen TV, a 100-inch projection screen, and a rack of other TVs, I hope there’s enough room to cheer without elbowing someone. That would be a foul and possibly a fight. Specials include: Thursday - $10 House Pitchers & $4 Smirnoff cocktails; Friday - 7 to 9 p.m. $12 Pitchers of Yuengling & beer of the month & 9 p.m. to Close $10 house pitchers; Saturday - $2.50 Miller Lite Bottles & Drafts $10 Miller Lite pitchers & $3 Kamakazi shooters; Sunday - $2.50 Miller Lite Bottles & Drafts &$10 Miller Lite pitchers. Bring in the frenzy of March Madness on one of their 30 plus HDTV’s. Opening early for all the games, claim your courtside seat next to the bar before they are all gone. No need to eat before you go, because food and drink specials will be running almost as much as the players all tournament. Catch the madness of the NCAA Tournament action at Ramparts on one of their 17 flat screens. Keep the drinks flowing at one of their three full bars (daily specials). Create your own halftime commentary over a game of pool, a jukebox medley or a challenge at the dart boards. Whatever your choice, it’s sure to be a good time. Pretty much the best place in Adams Morgan to catch the games. They have plenty of TVs and free popcorn (and often pretzels). Specials include: Thursday - 50-cent beer starts at 5 p.m. and the price increases hourly; Friday - $3 Bud Light bottles, $4 rail drinks all night; Saturday & Sunday - $3 Miller Lites all day.